White iPhone 4 Release Date Coming Soon, End of July? 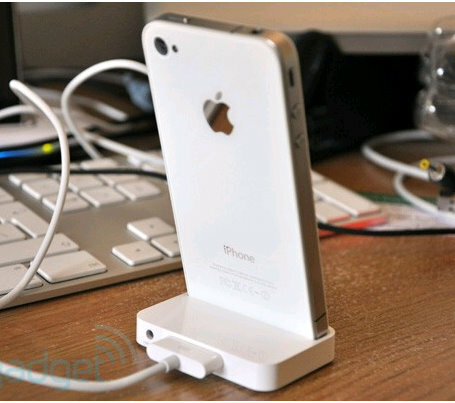 The much anticipated, and highly discussed white iPhone 4 has been scheduled for release by the end of July, according to Steve Jobs the CEO of Apple. However, I wouldn’t get too excited about that release date. Sure the white iPhone 4 could hit AT&T by the end of July, but how long will it take for the shelves to be emptied out and suddenly we are back to no white iPhone 4’s to purchase? According to Engadget, the Chinese newspaper 21st Century Business Herald, states that the white iPhone 4 supply problem stems from a little-known Chinese factory by the name of Lens Technology, which is apparently responsible for transforming fine raw glass into the majority of iPhone glass panels… the company’s screen-printing workshop may currently be dealing with some issues with the white iPhone 4 covers. Specifically, the factory’s still working out the perfect combination of paint thickness and opacity — the former to ensure the next sub-contractor has enough clearance for the digitizer overlay, and the latter for the absolute whiteness that Jony Ive and co. strive for. So obviously there is a production issue with the manufacturer responsible for turning out the white iPhone 4 covers. And even if the end of July sees the coming of the white iPhone 4, I’d be willing to bet that it would only be arriving in very limited supply – which means it is almost guaranteed to run out, and fast. Even the black iPhone 4 currently has a 3 week wait for shipping from the Apple online store. It looks like something as simple as acquiring a white iPhone 4 will be a waiting game for many customers, and more likely it will become a point of frustration for those waiting – if it hasn’t already.